Fishing for anglers becomes more exciting during warm part of the year, when you especially want ease, freshness, convenience and neatness. With all this no one wants to be bitten by mosquitoes, and the clothes to be wet and unreasonably heavy. Modern fishing shirts, despite the external lightness, simplicity and sophistication, have a number of undoubted merits that the body feels from the first minutes, as it is on the body. Unique material, sewing and design provide excellent ventilation, clothes do not stick to the body, and the seams (there are also seamless technologies) are completely invisible and not felt by touch. Special valves, meshes, membranes give the fisherman complete comfort. In addition, the fabric is incredibly strong, has a water-repellent structure, perfectly protects from the sun and does not lose its properties for a long time even after wearing it in severe conditions. We introduce you the best models of shirts on the markets that worth anglers’ attention. This performance shirt is unlike any other on the market. This SPF-50, moisture wicking, fast dry is vented on the sides and armpits to allow superior ventilation to keep you comfortable on hot days. The tighter weave protects you against cold wind. The fabric is exceptionally resistant to stains and it is also very snag resistant as well. Attractive venting keeps you cool on the hot days. Super durable with tight “Six Thread” stitching. Custom “slimming” design. Available with different fish species logos. May run a bit bigger than the size you normally wear. 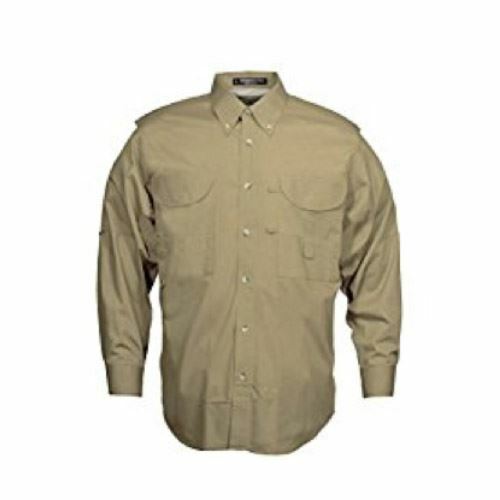 Fin Apparel provides the highest quality materials to make comfortable fishing shirt. 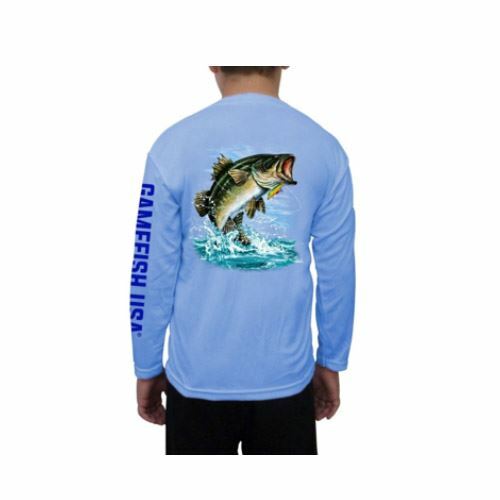 Wearing this long sleeve you will stay comfortable all day while fishing. The shirt will protect from the sun thanks to 100% microfiber ultra soft material. What’s more important the shirt won’t fade as you spend a lot time under the sun and it won’t shrink when you wash it. Puretech Technology wicks away moisture and sweat to keep you dry during fishing. It hides your skin from damaging UV rays with UPF 50 protection. 100% polyester microfiber provides a relaxed lightweight fit. The stitching on the shirt comes apart. 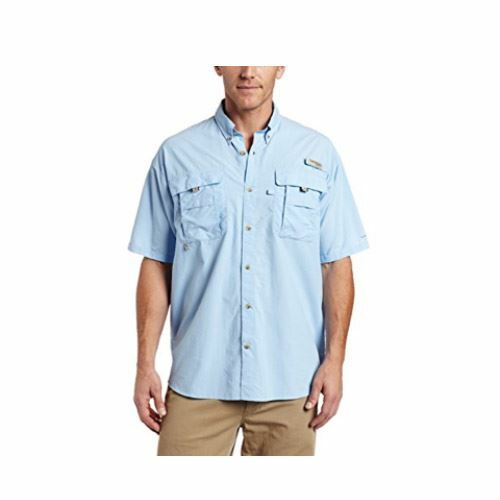 Columbia made this short sleeve shirt to satisfy all the demands of the anglers. It is made of soft cotton poplin to keep you cool and protected, with fly box pockets and a rod holder loop at the left chest. There is Omni-Shade UPF 30 protection from the sun. Shirt provides generous fit for a full spectrum of movement. There are four hook and loop closure fly box pockets at the chest and a rod holder loop at the left chest. Made of 100% cotton for hot-weather comfort and loaded with fishermen-friendly features. The fabric is too thick and sometimes magnets the dust. 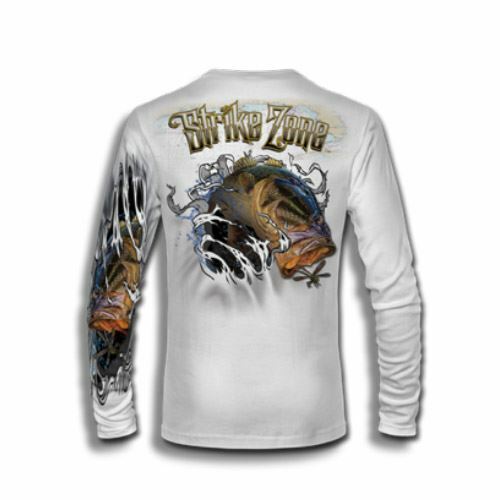 This shirt features not only awesome fish art, which anglers will adore but also other features that makes fishing comfortable. It is lightweight, provides enough space for easy movement and doesn’t let the skin to overheat but breath. Shirt keeps you cool and dry. It features UPF +30 solar protection. The fabric is powered by moisture wicking technology which will keep you cooler in the summer and warmer in the winter. The seams on the bottom of the shirt are not neat enough and may come out. This Performance Fishing Shirt wicks sweat away and provides super soft comfortable feeling with UPF 50+ sun protection for anglers who spend long fishing days. Moreover the shirt suits men and women. The awesome art fish is of a high quality that doesn’t fade. Shirt is made of 100% Microfiber Dri Fit material for wicking sweat away. UPF 50 long sleeve protects from the UV-rays. It is lightweight and soft to the skin, doesn’t restrict angler’s movements. Lets the skin to breath. The size chart differs from the size you normally wear so it’s difficult to choose the right one. 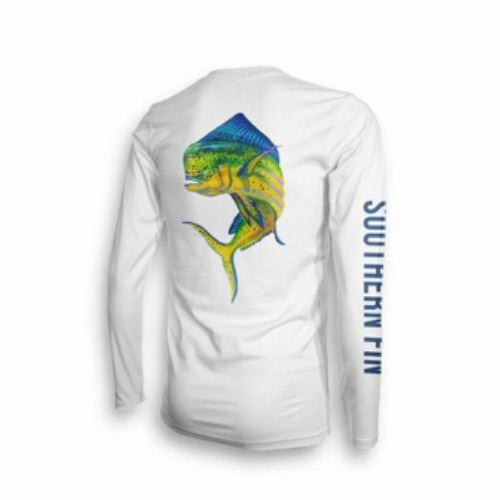 Salinity Gear represents new Tarpon Bay Long Sleeve with great art made by local marine artist David Danforth. 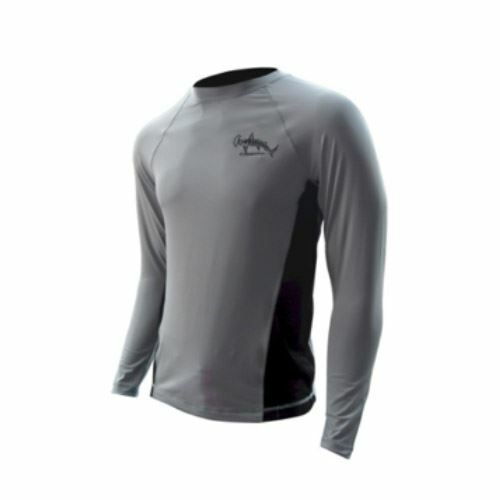 Salinity Gear Performance Solar-Tection Long sleeve fishing shirt is the best one in Saltwater outdoor sun protection. It provides UPF 50+ protection from damaging ultra violet rays. 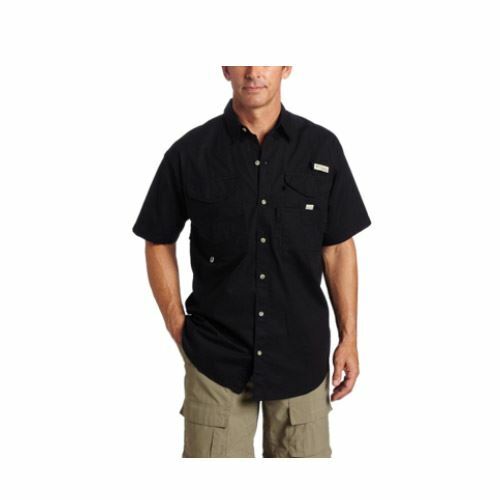 The shirt was tested by sport fishing and commercial captains since 2012. 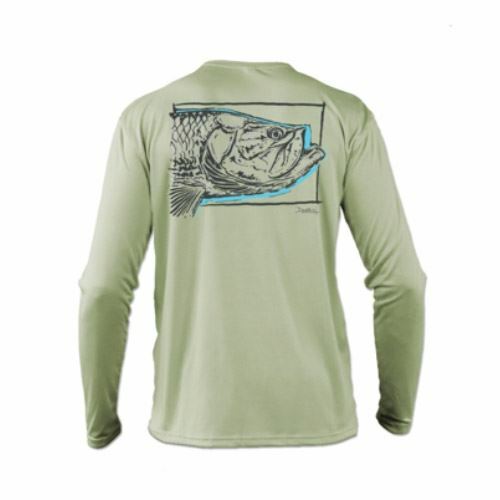 The shirt is comfortable, lightweight and breathable, made of 100% polyester fabric that keeps you cool and dry on or off the water with moisture wicking technology. The color of the shirt may fade if it’s worn regularly under the sun. This shirt meets most of angler’s requirements. 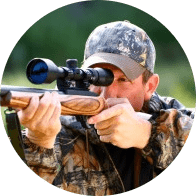 It is lightweight and durable nylon that dries fast, with mesh-lined cape vents at the back shoulder to keep you cool and built-in UV protection. Omni-Shade blocks UVA and UVB rays to help prevent sunburn and long-term skin damage. Omni-Shade UPF 30 provides maximum protection for long hours in the sun. The hidden vents at shoulders add bonus breathability. There are two big chest pockets that offer plenty of room for small gear. The shirt is available in several sizes and colors. The shirt can be easily stained. The quality of the material is not that good as it should be. Perfect shirt for any outdoors activity that is originally designed to meet all fisherman’s requirements. It is quite easy to take care of it. There are great choice of sizes and reach colors option. The shirt is light made of cotton/poly, It’s stain and wrinkle resistant fabric. Vented back allows air to circulate freely and enhances freedom of movement. The sleeves can be made short or long. There are 2 chest Velcro pockets and full cut for extra comfort. The shirt doesn’t have UPF rating so it won’t protect from the sun. The scorching sun and heat in the daytime, and sometimes cooling at night are what anglers deal with. In all cases, shirt should breathe well and remove moisture from the body, and not absorb it. After all, there not so many anglers who will enjoy the pleasure of stewing in their own sweat or wearing sticky clothes on themselves. When it gets colder, the same perspiration, which was released during short physical activity, for example, fishing large fish, can very quickly cool down, and lead to hypothermia, fraught with serious diseases. Also it is necessary to take care of the protection of the forearms – after all, they occupy one of the key roles in the heat exchange of the human body. And if the summer night still allows you not to worry much about this, then it’s better to cover them from the direct sunlight on a hot day. So, the best choice is a long sleeve shirt. Shirt should not be tight and not restrict the movements. When choosing a shirt, you should always take into account the fact that the marking on the items does not always coincide with the actual size. There are several basic parameters of men’s shirts: height, sleeve length and collar size. Foreign producers take into account, as a rule, only the last two indicators. If you choose shirt with buttons and collar it should be loose. It will be easier for angler to do anything while fishing. The movements shouldn’t be restricted, the arms have to be movable while you casting or reeling. Do not forget that the length of the shirt should be right. It shouldn’t be too long as you have to tuck in all the time what definitely not very comfortable. Nowadays most men’s shirts are made of cotton. It is more resistant fabric than any other. This material is easy to wash and does not require any additional care. In addition, cotton is characterized by an ideal combination of price and quality. For modern men’s shirts can be used as pure 100% cotton, and with various synthetic impurities. As for impurities, polyester or lycra can be used. Shirts with the addition of polyester are more practical; they do not crumple and do not shrink after washing. Adding Lycra increases the elasticity of the shirt, so it is used to create tight-fitting models. Polyester is considered to be one of the most popular synthetic fabrics. Polyester fiber is resistant to stretching, friction and other physical effects. Shirts made of polyester, are almost always warm and dry. 100% synthetics will not be affected by larvae of moths or other insects. It is absolutely smooth, pleasant to the skin, with a light shine fabric, reminiscent of natural silk, but costs cheaper. elastic – it is repeatedly stretched, thus well preserves the initial form. Clothing can protect you from ultraviolet rays. It depends on the presence of certain threads, the weight of the fabric and the color. SPF (Stands for the Sun Protection) is a sunscreen factor, usually associated with the sunscreen. It measures the time for which the skin gets sunburn. UPF (Ultraviolet Protection Factor) – is a protection from ultraviolet radiation. This is the amount of ultraviolet that penetrates through the fabric and reaches the skin. For example, a fabric with a value of UPF 50 – will miss only 1/50 of ultraviolet rays. Thus, the fabric reduces the effect of ultraviolet rays on your skin (naturally, on those areas that are covered with fabric). Dark colors and complex weaving of the fabric let in less ultraviolet. Nylon and polyester are much better than cotton protect from ultraviolet (since they reflect ultraviolet). All fabrics that pass less than 2% are labeled with UPF 50+. The count starts from 15, because those fabrics that miss more of the ultraviolet are not considered protective. So, a white cotton T-shirt would have UPF 5. The label of shirt may include the information about how many washings can “sustain” UPF – after more frequent wash the rate will decrease. Natural fabrics pass more UV rays than synthetic fabrics. Thus, nylon and polyester shirts will provide the best protection against ultraviolet radiation. Light colors reflect sunlight and prevent heat stroke, but do not protect from ultraviolet radiation. Shirts made of cotton or viscose should be selected of dark colors – the darker, the better. Optimal colors for protection from ultraviolet are dark blue and deep red. The choice of sleeve’s type depends on weather conditions and also type of fishing. As most of your time you deal with water and the arms are rather active, it’s convenient to choose short sleeve shirt. There are models of shirts that have option to roll the long sleeve and put it on the button. Moreover, it’s important to protect the skin of the arms against damaging ultraviolet so long sleeve is a must. Choosing long sleeves also help when you deal with big sharp fishes so it will protect your arms. At different times of the year it is very important for a fisherman not to get wet, stay warm or protect himself from scorching sun rays. Suitable clothing will help achieve these properties, providing comfort and convenience when fishing. Shirts for fishing are not just textile clothes for daily use. Qualitative shirts for fishing are distinguished by unpretentiousness in wearing and care. The special color design has a positive effect on wear, giving this clothing convenience and practicality. A comfortable cut with a minimum number of seams has a key meaning. With its help, the risk of rubbing the skin, the uncomfortable sensations are significantly reduced, which is especially important in the hot season. Modern fishing shirts will prevent the accumulation of natural evaporation of the body, provide “breathing” to the skin, as well as protect from the scorching sun, wind, etc. To acquire such shirt is important to every fisherman, who cares about comfort and own health.